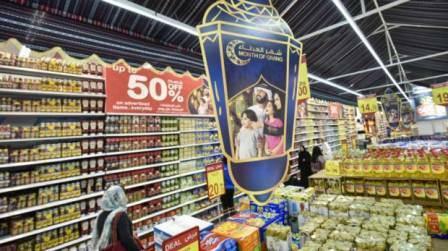 Dubai: The financial strain of stocking up on groceries and purchasing big-ticket items is expected to lighten during Ramadan. The Ministry of Economy has announced its annual reduction in prices that will affect over 10,000 products and goods, with discounts of up to 50 per cent in 600 outlets across the UAE for the whole month. Dr Hashim Al Nuaimi, Director of Consumer Protection at the Ministry, said that cooperatives and supermarkets outlets in the UAE is expected to reduce the prices between 25-50 per cent. Some products will also be sold at cost price during the holy month. The sale of commodities and food items generally soar across the UAE’s hypermarkets and cooperative societies during Ramadan, and to ensure a smooth plan of action, the Ministry of Economy organised meetings with suppliers and traders to agree upon discounts and initiatives. The open basket campaign in the last few years has motivated the Union Coop to relaunch it again this year. Al Nuaimi said the open basket will include two packages of different price ranges. The first package will contain 20 items costing less than Dh100, while the second will also contain 20 items to be sold for less than Dh200.